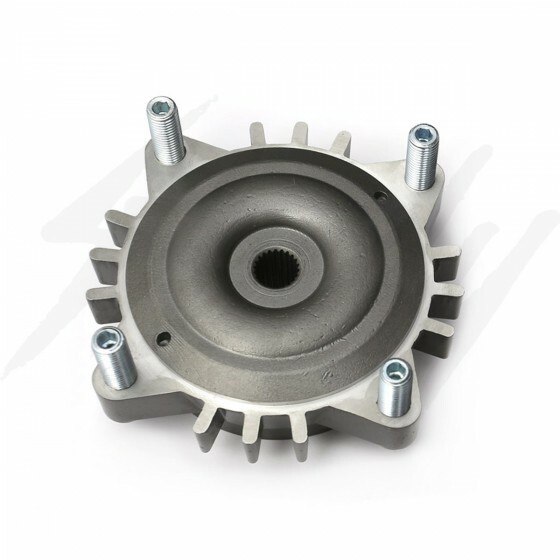 Customized Kymco Sym Rear hub that will allow you to run any 4x136 DWT rear rim! Custom machined to fit the center bore and the 4x136 bolt pattern, no additional machining is need to the rim or hub! The bolt holes on the rim will have to be open up as they are usually 10mm (3/8") diameter. Please see drop down menu for rims that fits directly onto the hub. Want to run aftermarket rear wheel on your Honda Ruckus, Honda Metropolitan, or Honda Dio? Look no further! 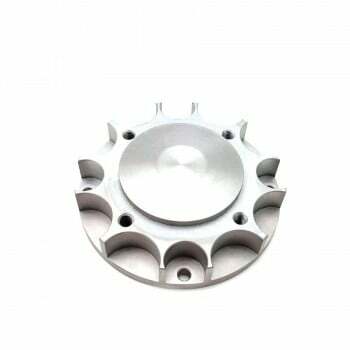 For an affordable price; this hub will get your custom rear rim on a Honda GET 50cc engine or a 2-Stroke AF Honda Dio engine! 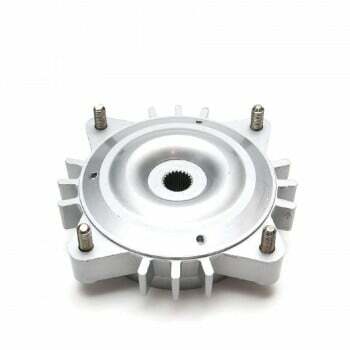 Genuine rear drum hub made by Kymco/Sym. This hub will allow you to mount any 4x136mm bolt pattern rear rim to your Honda Ruckus, Honda Metropolitan, or Honda Dio. This hub will fit most DWT 4x136 rims, which allows for a custom Mini-fatty or a fatty rear rim. The complete package comes included with M12x1.5 studs, and a custom machined Kymco/Sym hub.